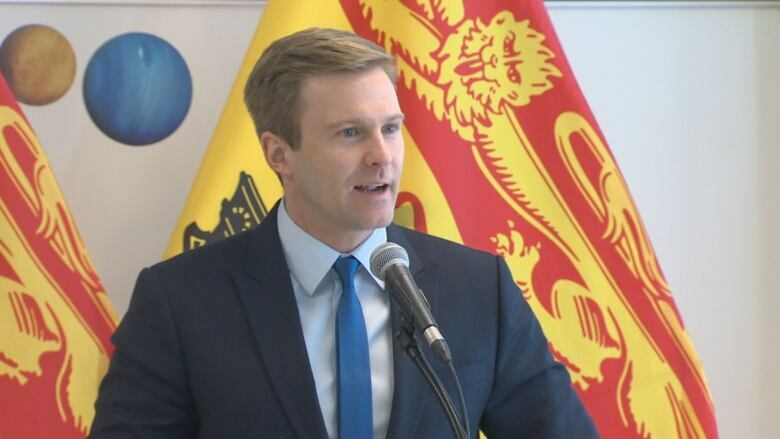 Siemens will open a cybersecurity centre in Fredericton, creating up to 60 jobs with up to $3.6 million in assistance from the provincial government, Premier Brian Gallant announced on Wednesday. Siemens will open a cybersecurity centre in Fredericton, creating up to 60 jobs with up to $3.6 million in assistance from the provincial government, Premier Brian Gallant announced Wednesday. The multinational technology company plans to hire 30 people by 2020, followed by another 30 during phase two, he said. The positions at the new centre, to be housed at Knowledge Park, are expected to be in engineering, cyber analysis and consulting. "It is great to see Siemens joining a growing list of companies that are transforming New Brunswick into a cybersecurity research and innovation hub in Canada," Gallant said in a statement. The government has identified cybersecurity, an industry that helps companies and technology users protect their data from digital theft and disruption, as a cornerstone of its economic growth plan. The statement said Siemens Cybersecurity Centre aims to bring together the company's expertise in critical infrastructure protection with New Brunswick's "emerging cybersecurity ecosystem." This will create the potential for global exports of locally created internet protocol, methods and technology, the statement said. "Cybersecurity is crucial to the success of the digital economy," said Siemens CEO Joe Kaeser. "Businesses and governments need to join together in order to keep pace with continuous advances and threats in the market." The first phase of the project will begin "immediately," according to a news release. Company officials could not immediately be reached to provide more details on when the hiring process will start or when the centre will open. A $1 million payroll rebate, which is performance-based and will only be disbursed once the company has created and maintained the jobs for a year and provided proof of salary levels and employment. A $1 million non-repayable contribution to support capital expenditures to establish the centre's operations. A $600,000 non-repayable contribution in support of eligible relocation expenses for employees moving to New Brunswick from another jurisdiction. Phase two, which could begin in 2020, involves a $1 million payroll rebate. The funding will also support training, education and research and development. The creation of up to 30 jobs during phase one is expected to add $17.1 million to the province's GDP over seven years, according to the government. Siemens already has a global Smart Grid Centre of Competence in Fredericton, which was established in 2012 to integrate smart grid technology into the province's electrical system. It also has an office in Moncton. The announcement comes just a couple of months after CBC News reported on a shakeup at the top of the provincial agency set up to promote New Brunswick's cybersecurity sector. After less than two years, Allen Dillon has been fired as the head of CyberNB, a subsidiary of Opportunities New Brunswick. Three other top people have been pushed out of the organization — John Kershaw, who was heading up the "CyberSmart" program, Dallas Jardine, who ran another program, and Kim Lipsett, who was on secondment from a position in a government department and sent back to that job. 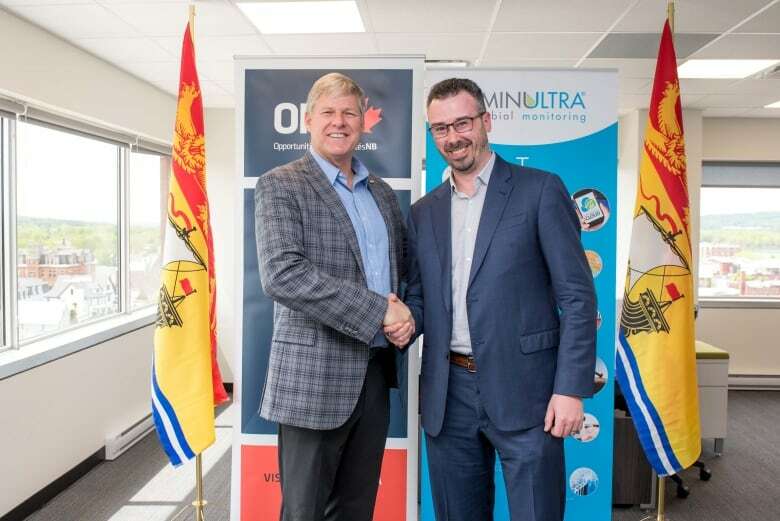 LuminUltra Technologies also announced Wednesday it is creating seven additional full-time jobs at its head office in Fredericton with up to $171,425 from Opportunities NB. The biological monitoring technologies company has 44 employees. No timeline for the new positions has been provided. The investment will be used for payroll support, as well as market development, marketing and administrative costs, according to the province. "LuminUltra is a gem of this province's science and technology sector," said Deputy Premier Stephen Horsman, speaking on behalf of Economic Development Minister Francine Landry, who is also the minister responsible for Opportunities NB. "We are continuing to grow in our mission to change the way the world thinks about micro-organisms in water." Opportunities New Brunswick is a Crown corporation that tries to attract business to the province.